Germany is the fairytale castle capital of the world. This is a bold claim, I know, as there’s tough competition from all over Europe and beyond. However in the place where fairytales were born (Brothers Grimm, anyone?) with castles that inspired Disney, it’s hard to think of a more magical place. Germany also has volume on its side, with over 20,000 castles to choose from! After much deliberation, this is the fairest castle in all the land, IMHO. It’s an easy drive there from Stuttgart in Baden-Württemberg, possibly the most beautiful and underrated state in Germany. It doesn’t matter what time of year you visit Hohenzollern, it will be stunning. Can you imagine it with fall foliage or a dusting of snow? It must look like a dream. Part of what makes this castle so lovable is the lack of crowds. When I came here two years ago in the middle of summer, it was just a few cyclists and my friends and I enjoying this view – that’s it! No bus loads of tourists and no selfie sticks. This is an easy walk as well, but you need to know how to find it. More on that, and how to fly over it in a hot air balloon, here. If you want to visit the inside of the castle, find tour times here. Lichtenstein castle, not to be confused with the country, is a strong contender for the most magical castle in all the land. The gothic revival style and the way it’s built upon this escarpment make it look like it came straight out of a fairytale – and in some ways it is. The modern castle was inspired by the novel Lichtenstein and was built in the early 1840s. Nowadays it’s a tourist attraction with tours all throughout the day and several hiking trails nearby. The easiest way to get there is by car. Hohenzollern-Sigmaringen is one of the largest and grandest I’ve ever laid eyes on, rising up out of an outcropping of rocks and stretching across almost an entire city block. If you’re into magical castles you’ve got to add this one to your list. 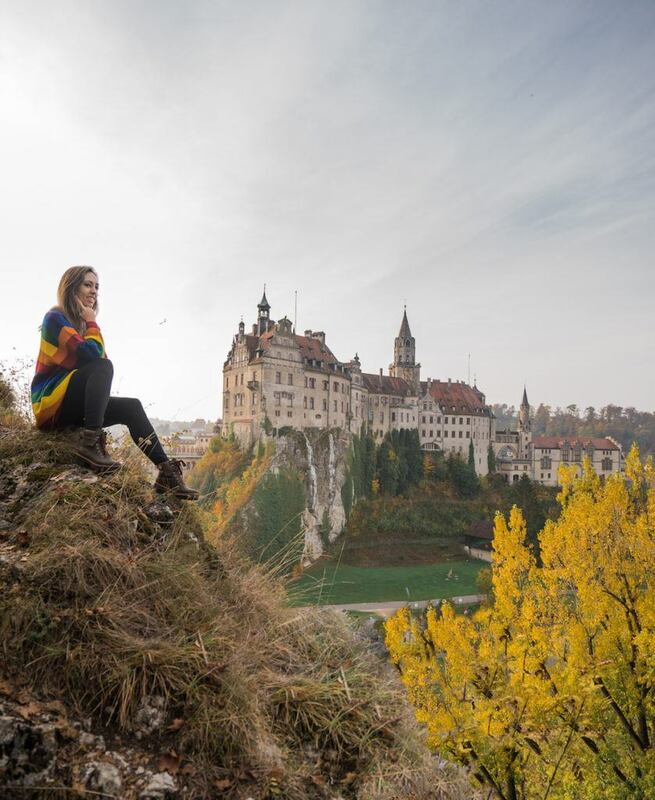 Located in Swabian Alps in southern Baden-Wüttemberg, the castle makes a perfect day trip stop from Stuttgart. I recommend joining the tour to learn the story behind the important private collections of over 3000 pieces of armor, opulent victorian interior and exterior architecture design (the tour is conducted in German, but a leaflet in English is provided). There are a few vantage points to see the castles from different angles and perspectives. More on that, and how you can get to Hohenzollern-Sigmaringen, here. There aren’t many castles in Saxony, but Moritzburg, a Baroque palace in the town of the same name, is a worthy pit stop during a long weekend trip out of Berlin. Just like in the movies and fairytales I read as a kid, this castle is surrounded by a moat. Further, it’s delightfully symmetrical, and who doesn’t love symmetry? The area has long been a favorite hunting area, particularly for royalty in the region over the centuries. If you do decide to take a tour of the inside, prepare to see hundreds of antlers and walls covered with gold-gilded leather. I didn’t want to think about how many deer it took to decorate the rooms in this place. It’s – shall we say – an interesting experience. Find tour times here. 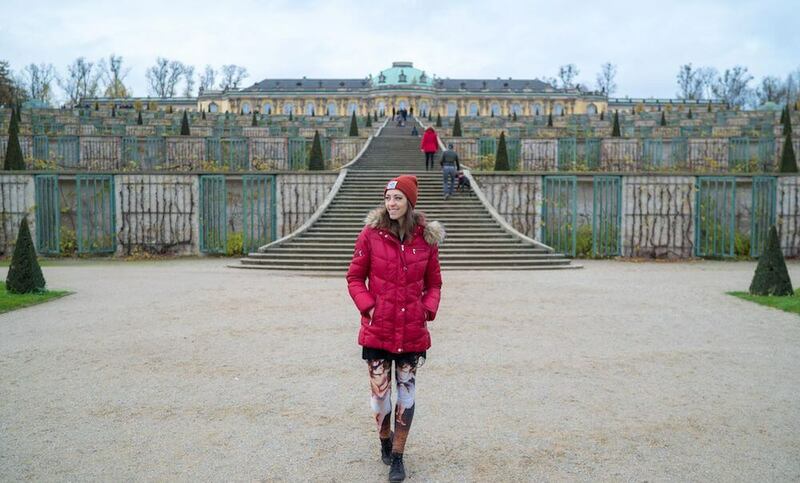 Schloss Sanssouci in Potsdam takes about an hour to reach by train from Berlin. What makes this castle so worth a visit is the surrounding area, which has acres of dreamy walking paths and gardens that are all free to enjoy. To me this keeps the original intent of Sanssouci, which was meant for leisure and enjoyment rather than to serve as a seat of power. In addition to the castle featured above, there are many historical buildings with different styles of architecture from various periods in Germany history, many of which are used as university classrooms today. It’s possible to tour the inside as well. I feel it’s a baroque explosion of gaudiness and opulence, but you be the judge. More on that here. “Burg Eltz is one of only three Rhine castles to have survived through the last thousand years intact. The oldest part of the building is from the 9th century, with further wings built in the 12th and 15th centuries. Incredibly, it has been in the Eltz family for 33 generations, and members of the family still live there, putting fresh flowers in the public rooms everyday. “The Schloss Neuschwanstein dates back to the 19th century and was commissioned by King Ludwig II of Bavaria, who didn’t live to see the final result of his vision: one of the most beautiful castles in the world. Surrounded by hills and lakes, it seems to be straight out of a fairytale, and many claim it actually served as Walt Disney’s inspiration for Cinderella’s Castle. “Neuschwanstein Castle is the dreamiest castle I’ve been to, both from the outside and inside. More than 1.3 million people visit this fairytale castle each year in the municipality of Schwangau in Bavaria. Since it’s such a popular tourist attraction it’s possible to go here from several German cities, but the most common starting point is probably Munich, which is a 1 hour and 45 minutes drive away from the castle. There is also a regular bus operated by Flixbus, and then of course you can always rent a car and drive there on your own, or join a group tour. If you want the best experience possible, I suggest an overnight stay at Hotel Müller Hohenschwangau, and then wake up early to avoid the crowds. “Rötteln Castle is a beautiful 11th century ruined castle in the far south-west corner of Baden-Württemberg, near the Swiss border. Known as Röttler Schloss by the locals, it was in continuous use from the time it was built until the 17th century. However, the castle was destroyed during the Franco-Dutch war in 1678. It was then quarried for stone, but restoration efforts over the 20th century have now brought it back to the state it was in at the time of its destruction. The castle stands on a hill about 400m above sea level, and the views alone are enough reason to visit. From the top of the keep, there are absolutely stunning vistas out over the ruins of the castle and the surrounding valley. There is plenty of exploring to be done around the ruins. If you get hungry, there is also a very cute and reasonably priced Biergarten serving up traditional German fare. “Hohenschwangau is a 19th century castle in Southern Germany. It’s located nearby the fairytale castle of Neuschwanstein, and it was also the childhood residence of King Ludwig II of Bavaria. This castle is not as famous as the Neuschwanstein Castle but it’s still worth a visit because it’s very beautiful as well. Hohenschwangau Castle was built by King Ludwig’s II father, King Maximilian II of Bavaria, who primarily used this as a summer and hunting residence. It was also here that King Ludwig II moved into his father’s room in the castle, back in 1864 upon his death. He continued to live here after his father’s death together with his mother, Queen Marie. About 300 000 people visit this castle each year, and you can buy a combination ticket together with your Neuschwanstein Castle ticket, which is highly recommended if you do an overnight stay or come here early in the morning and have time for both castles. The most common starting point is Munich, just about 1 hour and 40 minutes away by car. It’s also possible to get here by bus. 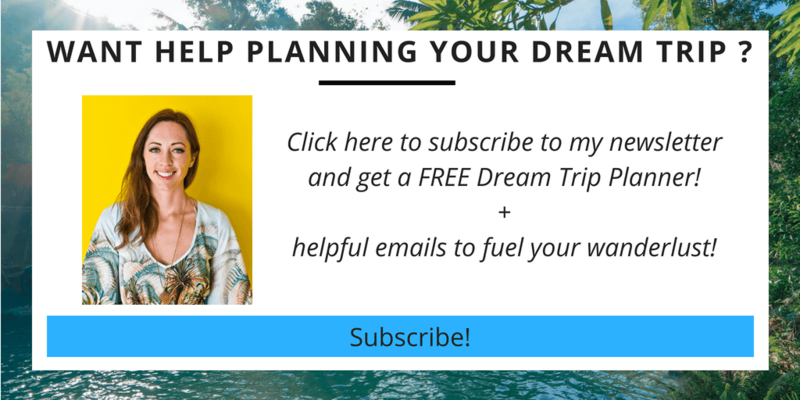 But renting a car is recommended as there are many beautiful places nearby, and then you have the freedom to go and leave whenever you feel like instead of having to wait for a bus. “The small town of Heidelberg is one of the most romantic places to visit in Germany with its pretty landscape and gorgeous old town. While you visit Heidelberg, the most impressive sight without doubt is Heidelberg Castle situated on a hilltop. Heidelberg Castle was built in the 15th century, and it was unfortunately partially destroyed in the war against France in the 19th century. The castle was extended in several steps and contains elements from different architectural periods. Although the castle was partially destroyed, it’s still a very picturesque sight, which, in addition, offers fascinating views of Heidelberg and the Neckar River. During your visit to the castle, you will have the chance to visit a small winery and also an interesting Pharmacy Museum that exhibits objects from old pharmacies. “Schloss Nordkirchen is the largest, and perhaps most impressive, moated castle in the German state of NorthRhine-Westphalia. Not only does the size make it stand out, but its symmetrical Baroque style does as well. Modeled after the Palace of Versaille, it is often called the Versaille of Westphalia. It differs from Versaille though, because of the surrounding double moat. The Schloss was originally designed as a grand residence to house the entire court of the Prince Bishopric of Münster. Building commenced in 1703, taking over 30 years to complete. The Church sold the castle centuries ago, and it has changed hands several times since, being owned by the state now, and used as a living quarters and training facility for government financial officers. The grounds surrounding the castle fill 170 hectares, with a combination of formal manicured gardens, tree lined corridors, wooded sections, and even a wildlife park. The entire area richly decorated with statues and busts which vary dramatically in style and make quite an eclectic mix. The grounds at Schloss Nordkirchen are free to visit. There is an open air cafe in the interior courtyard, and an indoor restaurant at moat level. If you’re visiting Berlin and don’t want to stray away from the city check out Charlottenburg palace in the neighborhood of the same name. The inside is lavishly decorated in baroque and rococo styles and is surrounded by a baroque style garden. The palace and gardens are gorgeous during the day and especially at night, particularly during the holidays when the castle plays host to one of the city’s most famous Christmas markets. The nearest U-Bahn stop is Richard-Wagner-Platz and tickets to tour the inside can be purchased onsite. 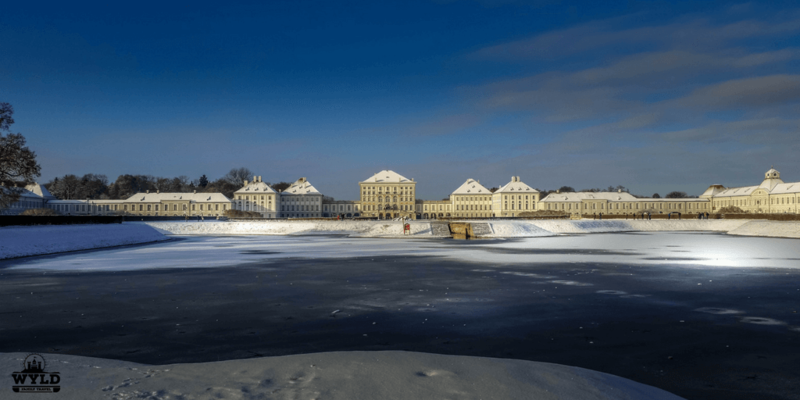 “Nymphenburg Palace is located right inside Munich and is just as stunning as the ones that you will travel hours from the city to see – and it is so easy to get to! The construction of Nymphenburg Palace was started in 1664 after the birth of Maximilian II Emanuel and was completed in 1675. Like many beautiful palaces or castles it was added to by all monarchs that lived there until it is what we see today. We have visited the palace in 3 different seasons and I can tell you they are all as stunning as the one before but I must admit seeing it covered in snow was my absolute favourite. In the summer the sun beating down on the red roof of the palace is amazing, and everyone is sitting enjoying the gardens or going for a run through them. In the winter the canals that lead up to the palace can be used for ice skating. “Am I still in Germany?” I asked myself as I stepped into the lush green park of Bad Muskau. It felt more like a grand English country house estate, straight out of a scene from Downton Abbey. Indeed, a kind of English atmosphere was exactly what the designer wished to encapsulate. The eccentric Prince Hermann Ludwig Heinrich von Pückler-Muskau was the ambitious project manager of Bad Muskau. The count wanted to create the perfect 19th century English garden. Bad Muskau is on the German/Polish border. After World War II the area was altered significantly once more. The park was divided as the River Neisse was the official border between the two countries. For years the park lay in disarray due to the new political border. After German reunification, Poland and Germany worked together to restore Bad Muskau to its former glory. Bad Muskau stands proudly once again and is one of the few UNESCO sites which straddles two countries. 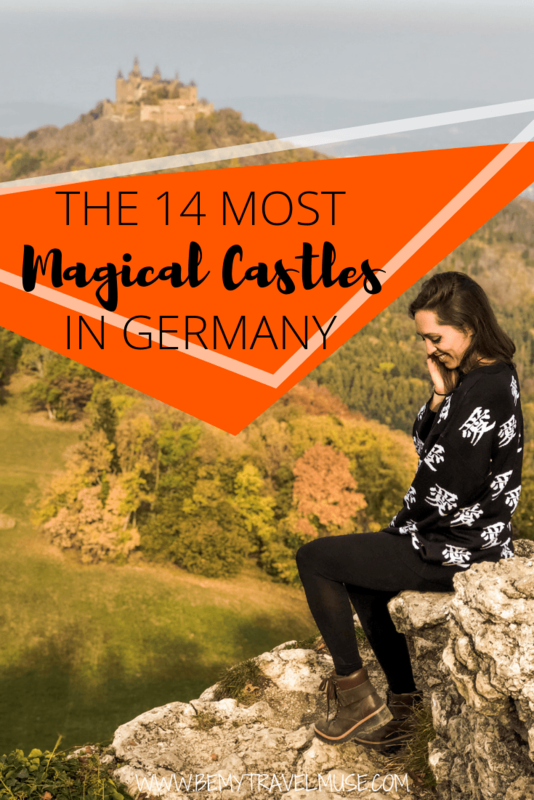 Out of 20,000 castles in Germany it’s not easy to narrow it down – but these are our favorites for their dreaminess, style, and originality. I’m still on the hunt for more, so if you have any to add, let us know in the comments! 1. Coburg Castle (Coburg, Germany): Martin Luther supposedly did some translation of the Bible here and it has a great art collection. Plus it is pretty and huge. 2. Castle Hotel Colmberg: 13th century castle. This one is not the prettiest, but unique. But what makes it neat is that it is now a hotel. The castle is preserved, but you get to “live in a castle” and explore it at your leisure. It is on a pretty hill, but all of them are I imagine! Have you been to either of these? No I haven’t but they both sound cool! 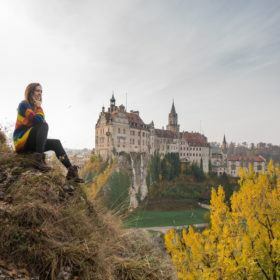 Great list, after living in Germany 3.5 years I’m ashamed to say I haven’t been to most on this list but will now have to plan some weekend road trips. I’d also add Buckeburg Palace (near Hannover) and Schwerin (in Schwerin) ? Thanks for those! I haven’t been to most of them either and I’ve lived here on and off for longer so don’t feel bad! Casle Neuschwanstein and Castle Heidelberg are my favorites.